Another LEGO minifigure series to collect. This one looks pretty good. 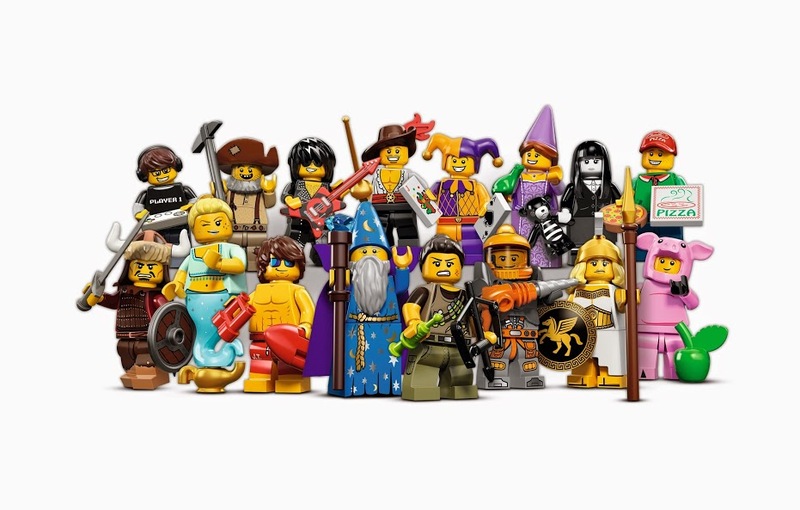 Lots of different characters that would fit very well into my LEGO collection. Initials wants/favorites: Pig Guy Suit, Pizza Man, Jester, Rock guitarist and orange spaceman. This series will be available on October 1st. I have many from the last 5 series that I am still missing for a complete collection. I might just try and get all of these right away. What say you, fellow LEGO minifig fans/collectors? Yeah, that wizard is pretty cool looking. This is one where I want even fewer than before. Really just the goth girl for sure and, maybe, the Hun. I will take note of those if I get extras.